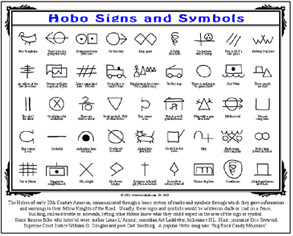 Hobos of early 20th Century America communicated through a system of marks and symbols to give info and warnings to their fellow Knights of the road. 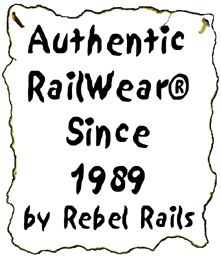 Usually written in chalk or coal on fences and sidewalks. Big Rock Candy Mountain was a popular Hobo tune. 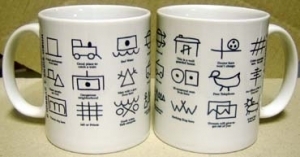 Mug features symbols used by early 20th Century American Hobos to warn and/or inform their fellow Knights of the Road. This unique mouse pads features signs and symbols used by Americas Hobos in the early 20th Century, to warn and advise their fellow Knights of the Road. 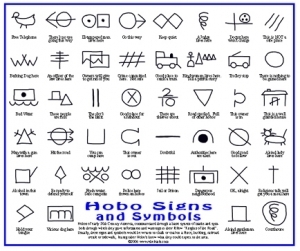 Tin sign of symbols made by Americas Hobos, or Knights of the Road. These signs were left to alert following Hobos of dangers and other situations in the area to be aware of.